Dr. Paolo Brambilla is MD specialist in Psychiatry and PhD. He is senior Lecturer of Psychiatry at the University of Udine and Head of the Research Units on Brain Imaging and Neuropsychology at the Inter-University Center for Behavioural Neurosciences, a unique research consortium between the University of Udine and the University of Verona in Italy. Rong Chen is an Assistant Professor in the department of Radiology, University of Maryland School of Medicine. He completed his Ph.D. in Electrical and Computer Engineering at Washington State University in 2003, and his MTR in Translational Medicine at the University of Pennsylvania in 2012. He has published about 50 peer-reviewed research articles in the areas of computational neuroscience, neuroimaging, machine learning, biomedical image analysis, and translational medicine. Dr. Dretsch is an active-duty officer and research psychologist in the US Army. His research includes assessing the impact of combat-related neurologic and psychiatric conditions, such as traumatic brain injury and posttraumatic stress disorder, on brain functioning and structure in order to improve screening, diagnostics, and outcome assessments. In addition, his work is also aimed at exploring predictive factors associated with vulnerability to these injuries and psychopathologies. Dr. Dretsch incorporates a multimodal assessment approach using comprehensive batteries of neuropsychological, self-report, proteomic and lipidomic, genetic, and neuroimaging measures to better understand the pathophysiologic underpinnings of clinical presentation and identify potential biomarkers. Dr. Andrew A. Fingelkurts is a co-founder and co-head of a research organization BM-Science – Brain & Mind Technologies Research Centre. Dr. Fingelkurts holds PhD in human psychophysiology from the Lomonosov Moscow State University (Russia). Throughout his academic scientific career, he has obtained knowledge, experience and expertise in advanced quantitative electroencephalogram EEG analysis, cognitive neuroscience and systemic psychophysiology. Currently his main research interest is in the area of consciousness studies. From 1998 onwards, Dr. Fingelkurts has delivered to the community more than 100 publications, book chapters and conference presentations. Dr. Fingelkurts is an active member of 7 professional scientific organizations. I am Consultant Neurologist and Clinical Researcher at the “Oasi” Institute for Research on Mental Retardation and Brain Aging (IRCCS) in Troina (Italy). After graduation with honours in Medicine, I trained at the School of Neurology of the University of Catania, where I got the international PhD. As research Fellow, I further trained at the Newcastle University (UK). From October 2015, I teach Neurology as Assistant Professor at the “Kore” University of Enna (Italy). I have coauthored approximately 80 publications in international Journals and Conferences and serve as Editorial Board member and Invited Reviewer of several international Journals. Dr Gaurav Malviya did his PhD and Postdoc in Nuclear Medicine and Molecular Imaging field. At present, he is Head of Nuclear Imaging Lab at the Cancer Research UK Beatson Institute, Glasgow (UK), where he also established a new pre-clinical PET/MRI imaging facility. Dr Malviya is the author of several peer reviewed research articles (IF >150), book chapters, and other international publication. Also, he twice received prestigious International Research group in Immuno Scintigraphy and Therapy Award – “IRIST Award”. Dr Malviya’s research interest mainly emphasis on development and pre-clinical evaluation of novel PET, SPECT, CT and MRI imaging probes for translational cancer imaging in GM mouse models. Dr. Mehrdad Razavi obtained his M.D. degree (1994) from University of Vienna School of Medicine, Vienna, Austria. Dr. Razavi currently holds the following positions: (1) Medical Director, Advanced Sleep Diagnostics, Redding / Red Bluff, CA (2010-present); (2) Medical Director, Neurosleep Diagnostics, Aberdeen, WA (2011-present); and (3) President, International Society for Cognitive Rehabilitation (SCR) (2009-present). His areas of research interest involve Alzheimer’s Disease and Dementia, FMRI and Cognitive Neuroscience, Cognitive Rehabilitation, and Sleep Medicine. Dr. Razavi has published articles in various journals concerning these research topics, and is also an ad-hoc reviewer for various journals, such as Human Brain Mapping, IEEE Transaction on Medical Imaging, Magnetic Resonance in Medicine, etc. Dr. Mukesh Dhamala did B.S. and M.S. in Physics, Tribhuvan University, Nepal in 1991 and 1994. He also did M.S. in Computational Physics (Honors) from University of Kansas, Lawrence in 1999. Later, he did Ph.D. in Physics from University of Kansas, Lawrence, Kansas, USA in 2000. Since 2013, he is tenure-track Assistant Professor in the Department of Physics & Astronomy, GSU, Atlanta, USA. Dr. Alexander A. Fingelkurts is a co-founder and co-head of a research organization BM-Science – Brain & Mind Technologies Research Centre. Dr. Fingelkurts holds PhD in human psychophysiology from the Lomonosov Moscow State University (Russia). Throughout his academic scientific career, he has obtained knowledge, experience and expertise in advanced quantitative electroencephalogram EEG analysis, cognitive neuroscience and systemic psychophysiology. Currently his main research interest is in the area of consciousness studies. From 1998 onwards, Dr. Fingelkurts has delivered to the community more than 100 publications, book chapters and conference presentations. Dr. Fingelkurts is an active member of 7 professional scientific organizations. Dr. Rajesh Kana is an Associate Professor of Psychology and Co-Director of the Undergraduate Neuroscience Program at the University of Alabama, Birmingham (UAB). He has more than 15 years of research experience in neuroimaging and neurodevelopmental disorders. Dr. Kana earned his Ph.D. from Indian Institute of Technology (IIT), Delhi, India. His training in neuroimaging was from UCLA and Carnegie Mellon University. Dr. Kana is a William Fulbright research fellow and the Civitan-McNulty Scientist. His research focuses on investigating the diagnostic utility of neuroimaging-based inferences in developmental disorders, and in testing the effectiveness of behavioral intervention on the brain in autism. Igor Lima Maldonado is MD specialist in Neurosurgery, Mathematician and PhD. He is currently Professor and Researcher in the Department of Biomorphology at the Federal University of Bahia, Brazil. He conducts investigations on cerebral connectivity, targeting the functional anatomy of white matter tracts and their importance for oncological neurosurgery. 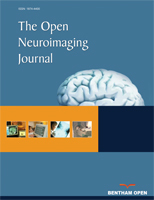 Other studies have target cerebrovascular diseases and their treatment with endovascular techniques. Dr Maldonado is a Smart Loire Valley Research Fellow and an active member of the World Federation of Neurosurgical Societies Anatomy Committee, whose mission is to promote neurosurgical anatomy worldwide and enhance information exchange among those involved neuroanatomical research. Prof. Alessandra Pacini is currently in the Department of Experimental and Clinical Medicine – Anatomy Section at the University of Florence, Italy. Graduated in Biological Sciences at the University of Florence in 1993, she gained her Specialization in Biochemistry and Clinical Chemistry in 1997 and her PhD in Pediatric Sciences at the University of Firenze in 2001. Current research targets on the study of the blood brain barrier and its alterations in the presence of toxic substances in in vitro systems. Research also focuses on the use of focused ultrasound for the blood brain barrier permeability regulation in order to deliver drugs inside the central nervous system. Dr. Stefano Tamburin did his Ph.D. in Neuroscience and Clinical Neurophysiology from University of Verona (2005). His current specific areas of research include neurodegenerative disorders (Alzheimer’s disease and other dementias, Parkinson’s disease and movement disorders, amyotrophic lateral sclerosis, cerebellar ataxia) examined with an integrative and translational approach that encompasses clinical evaluation, cognitive assessment, instrumental tools(neurophysiological techniques, imaging, psychophysics). Dr. Tamburin clinical interests include neurodegenerative disorders, with a specific focus on Alzheimer’s disease, Parkinson’s disease, cognitive disorders, pain, and clinical neurophysiology. Dr. med. Patrick Michael House studied medicine at University Hospital Hamburg-Eppendorf (UKE) during the period of 1994-2001. Since 2007, he is a Senior consultant at the Hamburg Epilepsy Center. His current research areas are MRI post-processing of 7 Tesla images and 3D brain visualization. He is editorial board member of various recognized journals and has notable publications to his credit.